I think we all, mothers, tend to be like this. These two words are the magic words that pregnancy and motherhood taught me. Yes, we want be in control of our body and mind: this to me means KNOWING, having an awareness, be connected with our body and LISTEN to its cues. It will tell us so much if we just listen. Then we’ll be in control and we’ll know how to respond. This is what we’re working in our classes this month: be control of our body, knowing it and feeling it, but also be able to LET IT GO… just dance, take out the emotions, feelings… expressing ourself. Our babies will get to know us deeply… Isn’t this amazing? 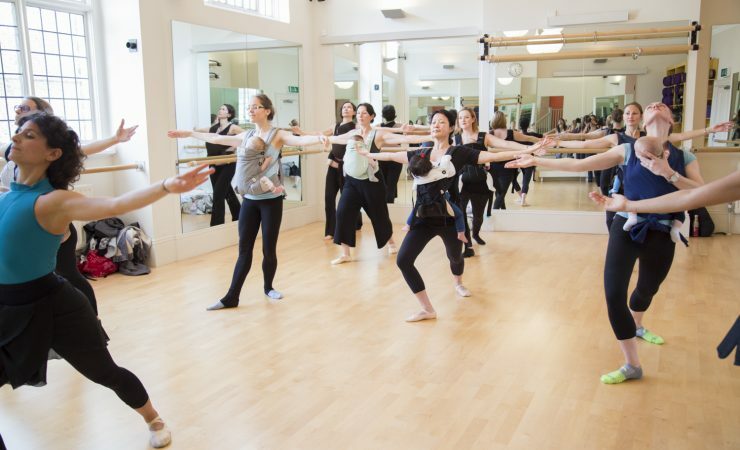 So, If you’re new to Barre&Baby, come and discover yourself through a taster class, and then join the conversation on the blog or on our facebook page to share the feelings you get while discovering your inner being and how this helps your motherhood journey. As always, feel free to share Barre&Baby‘s love inviting your friends to join our classes and joining the Ballerina Mums Community on facebook and instagram ! Thank you, as always for reading and joining Barre&Baby’s world. And, for allowing me the privilege to be part of your journey!